Adam Equipment offers a selection of high-quality weighing balances with readabilities up to 0.1mg for accurately measuring tablets and medicines used for medical prescriptions. Whilst our balances, are primarily used during the testing and development phase, class approved balances are required by chemists and pharmacies for selling prescriptions over the counter that are based on weight. 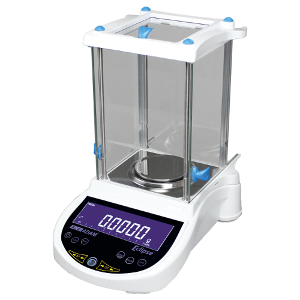 Microbalances are required by testing and quality control facilities for their high-level of precision. These balances are considered the best in terms of resolution with all balances measuring in the sub-milligram range. Our Highland precision balance range combines a lightweight, compact design with sturdy housing materials that allow the balance to be transported and used in field experiments where required. Operators can make use of sophisticated parts counting, check weighing and percentage weighing functionality to ensure ingredients used in medicines are accurately blended. Approved Highland balances are NMI certified for buying and selling goods by weight. Adam balances are tried and tested products, combining exceptionally high-precision and a formidable array of weighing functions to simplify complex measurement procedures within the pharmaceutical industry.